1. Only photograph my good side. 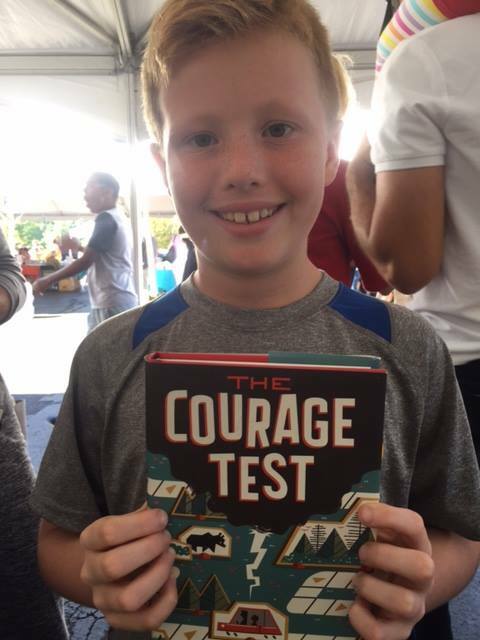 Signing my new book, THE COURAGE TEST. Reasons to be grateful: I still have hair, right? 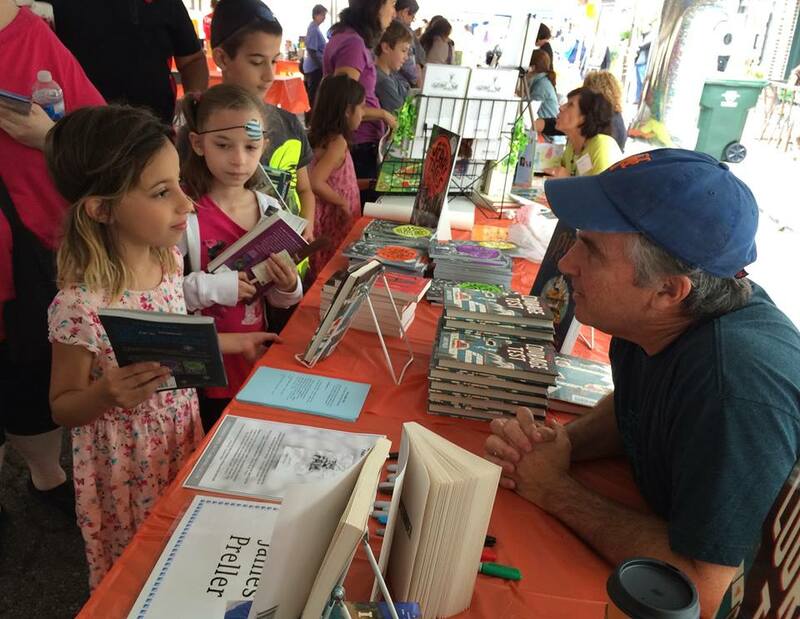 In truth, I had an inspiring day at the Warwick Children’s Book Festival this past Saturday, 10/8/16. It was a warm, cozy event in a great town filled with good people. I go every year. It’s a two-year-old tradition. Now we’re family. One of the pleasures for an author at Warwick is getting to briefly chat with friends in the business, “companions of the flame” as H.D. wrote. For example: the effervescent Hazel G Mitchell was my neighbor and it was the first time we had any extended time together; I tracked down my pal Hudson Talbott, whom I respect so much. His new book, FROM WOLF TO WOOF! is flawless, intelligent, extraordinary. 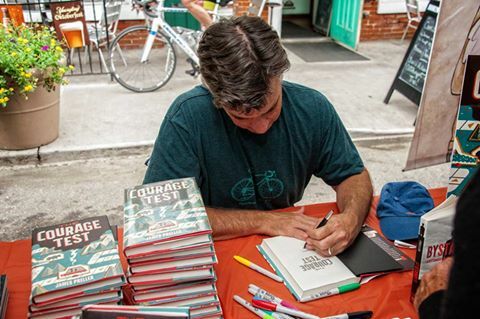 I got to linger in the parking lot with Eric Velasquez and London Ladd; drink coffee with Paul Acampora and Lizzy Rockwell; wish good health to the great Wendell Minor; marvel at the wit and new-voice-freshness of Jessica Olien’s fabulous Blobfish book; and on and on. It makes a guy want to buy a book, read a book, write a book. I love the chance to meet readers face to face. I’m always especially charmed to meet the sweet, lovely girls who love scary stories.